2012 marks the 60th Anniversary of H M Queen Elizabeth’s accession to the throne, following the death of her father, George VI on 6th February 1952. The first Diamond Jubilee celebrated in the UK was that of Queen Victoria in 1897. 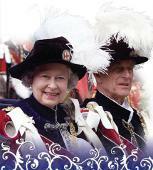 The actual 60th anniversary of Queen Elizabeth’s accession occurred on 6th February 2012 however the United Kingdom and Commonwealth countries will celebrate her Diamond Jubilee between the 2nd June and 5th June 2012. An extra bank holiday in Britain will result in a four-day holiday in honour of the Jubilee, coinciding with the Queen’s official birthday in the United Kingdom. • Jubilee Beacons - to mark the anniversary, the lighting of 2,012 beacons across the Commonwealth is planned. • Thames flotilla - known as the Thames Diamond Jubilee Pageant, this will be a maritime parade of 1,000 boats, the largest flotilla to be seen on the river in 350 years. The pageant and related events along the River Thames are expected to attract some one million people. • A Buckingham Palace concert will be preceded by an afternoon picnic in the palace gardens for 10,000 ticket holders The concert will feature variety acts representing each decade of the Queen's 60 year reign. • Other activities include a Thanksgiving Service, Carriage Procession, an equine pageant at Windsor Castle and thousands of street parties. • Aside from the ‘official’ celebrations, plenty of different activities will be happening across the UK and the Commonwealth. 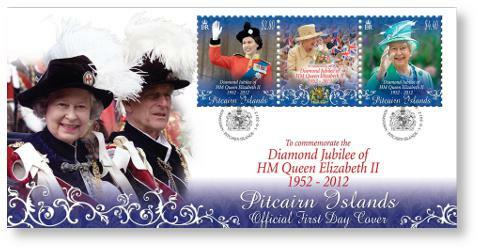 The logo - emblem for the Diamond Jubilee was selected through a contest held by the BBC children's programme Blue Peter. The winning design, announced in February 2011, was created by ten-year-old Katherine Dewar. “Today, as I mark 60 years as your Queen, I am writing to thank you for the wonderful support and encouragement that you have given to me and Prince Philip over these years and to tell you how deeply moved we have been to receive so many kind messages about the Diamond Jubilee. I send my sincere good wishes to you all”.